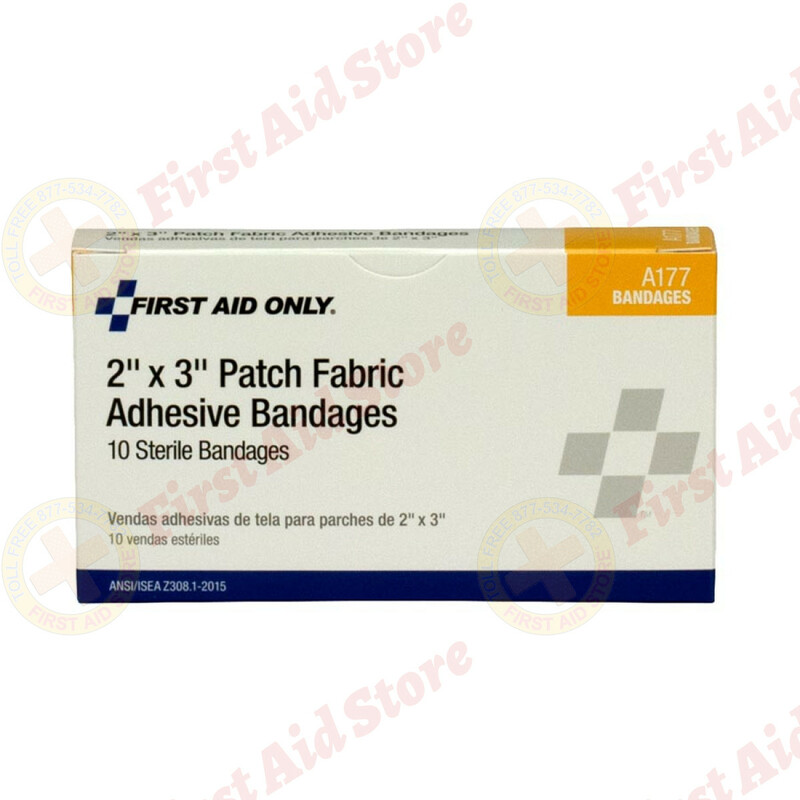 Our water and grease-resistant bandages are made from a comfortable, heavy-duty fabric that allows skin to breathe for faster healing. 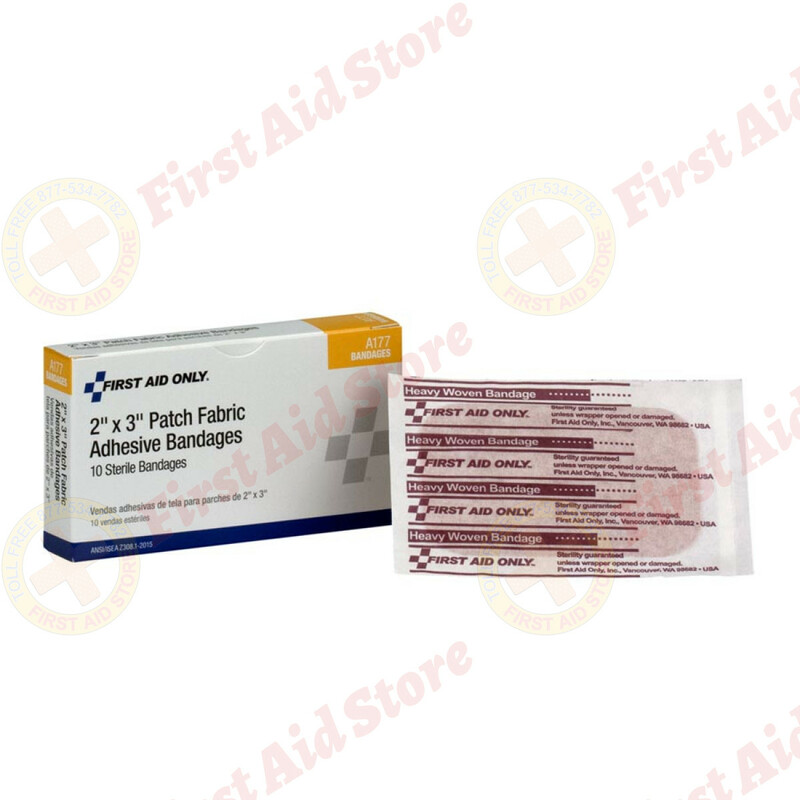 Flexible and easy to remove without sticking to the wound. 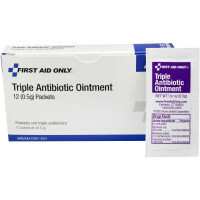 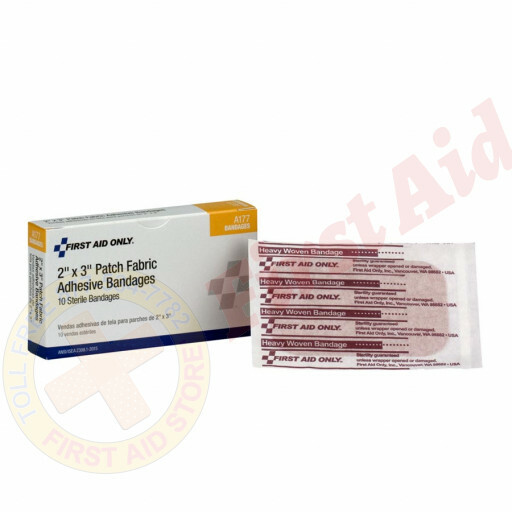 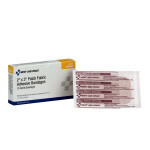 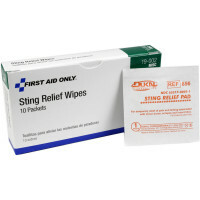 The First Aid Only® Patch Bandage - Heavy Woven - 2"x3" - 10 Per Single Unit Box.